We are focusing our efforts only on crushers and crushing plants for crusher expertise. Jaw crusher, cone crusher, horizontal impact crusher, vertical shaft impact crusher, vibrating screen, vibrating feeder and mills are our typical crushing equipments. Mobile crusher (crawler type, track mounted) and portable crusher (wheel mounted) are available for various mining quarry businesses. We are supplying crushing plants with various arrangements of crushing machines to meet customers’ requirements. Crushers and crushing plants with high quality, excellent engineering and after sales service already earned great reputation in the market. 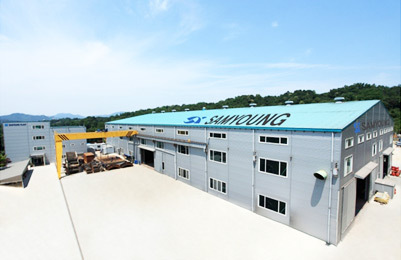 Continuous R & D leads us to the most reliable crusher manufacturer in the world, as well as in Korea.